Here you will find all of our official Star Wars merchandise and all of our own parody designs that respectfully poke fun at the Star Wars franchise that we all know and love. We have a wealth of official Star Wars t-shirts and Star Wars hoodies, and more! 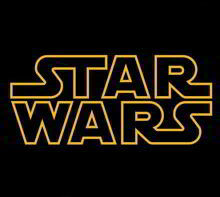 Star Wars Yoda DJ t-..
Star Wars May The Fo..
Star Wars The Kiss w..
Star Wars Han Solo R..
Star Wars A New Hope..